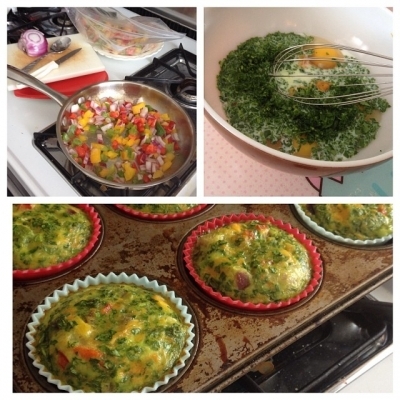 These little egg muffins are the perfect snack to take on the go for those busy mornings. Prepare them the night before and grab one the next morning on your way out the door! Grease a muffin pan and preheat oven to 350 degrees F. Combine ingredients in a small bowl. Distribute evenly in your muffin pan. bake for 25-35 minutes. Enjoy!